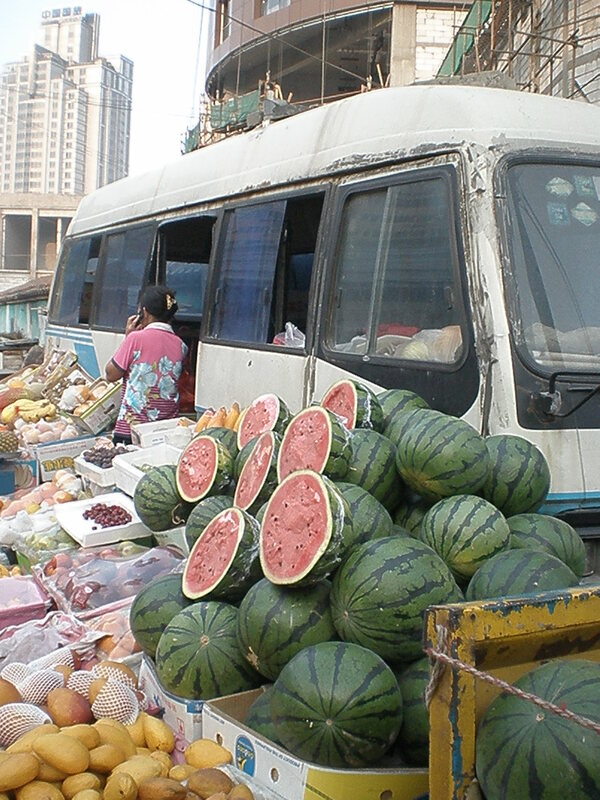 One major plus of living in China is easy access to seasonal fresh fruit and vegetables at low low prices. 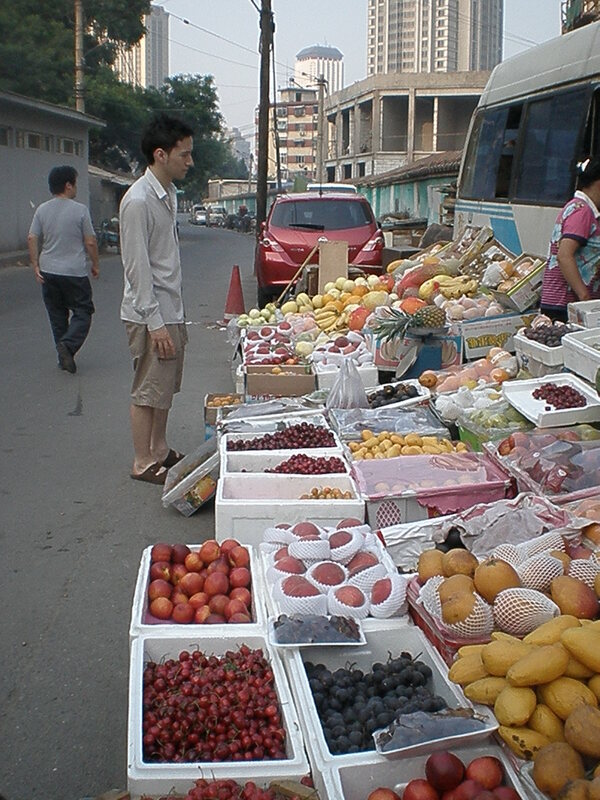 In my new neighbourhood, we have fruit and veg market stalls pretty much outside the apartment compound. 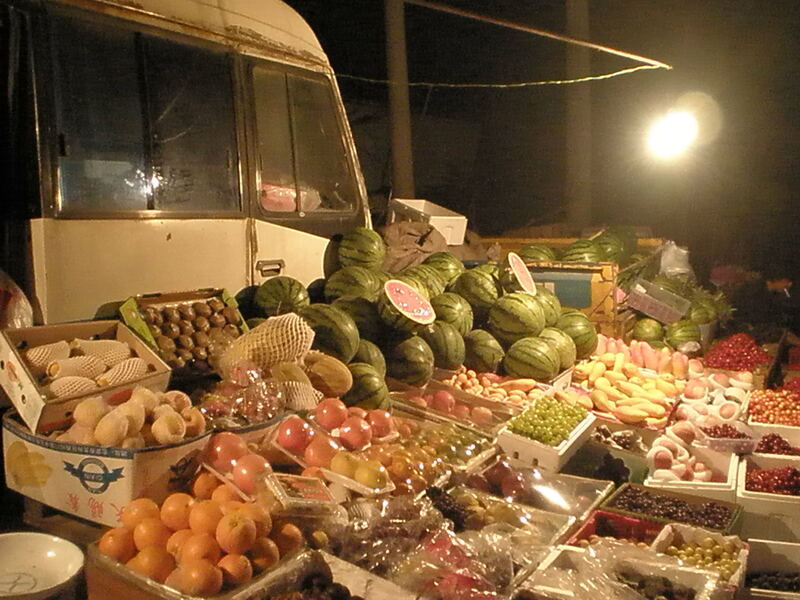 My favourite stall is the campervan fruit stall. 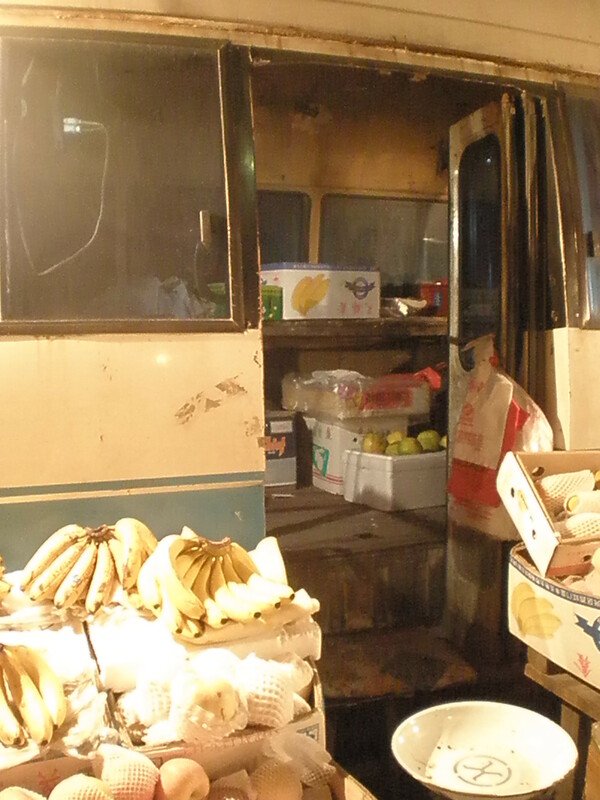 The slightly derelict camper-van, which would normally be sent off to the yard to be flattened into a metal pancake and transported off to a steel mill, is used to form the base of the store – the store owner sits inside to avoid the midday sun, money is kept in here and fruit is prepared (sliced, boxes put together for delivery). It’s a good looking selection of fruit too! Those cherries are just asking to be taken home. …And take them home I did. We had a few weeks of cherries filling up the fridge, however, cherry season seems to be coming to an end. That’s what I really love about the fruit and veg here – it’s seasonal. 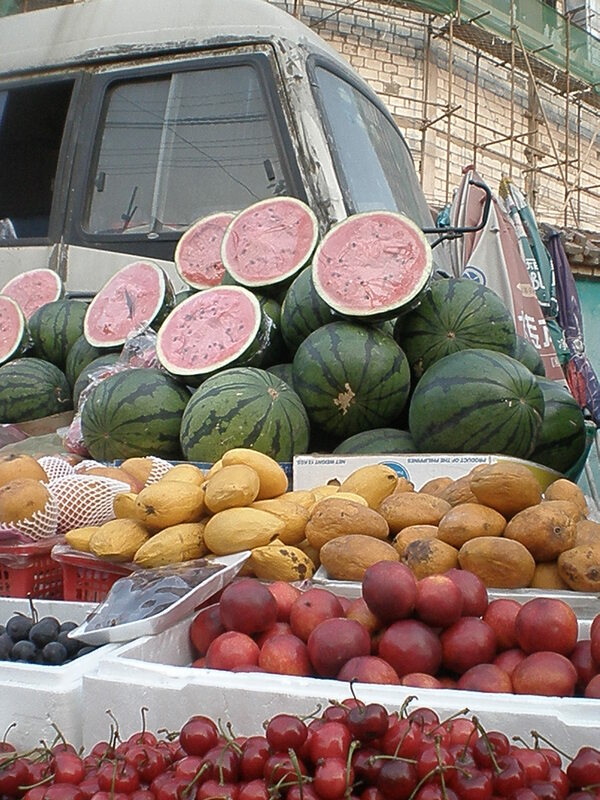 Each month brings new fruits and other disappear, but at least I know they aren’t being carted from across the world.